Powerflex Lower Engine Mount Bushing insert for 2008-2013 R55 R56 R57 R58 R59 MINI Cooper, Cooper S, Clubman, Coupe, Roadster, and Cabrio. 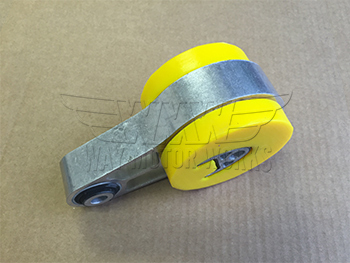 This bushing set is also known as the torque arm bushings. 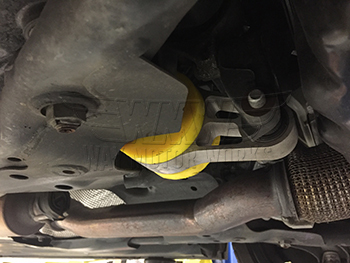 These bushings fill in the gaps in the stock lower engine mount to stiffen it up. This in turn keeps the engine from rocking which helps get the power to the ground, smooth out shifting, and even been known to help reduce torque steer. 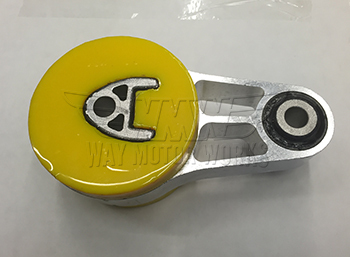 This is a similar design to the NM torque arm bushing, but made from softer polyurethane so it is a good alternative for someone that is sensitive, or with an automatic transmission. Being soft will minimize any vibration transfer, but still show a performance improvement.